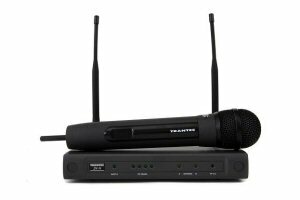 Wireless handheld microphone with dynamic head. demands now, and into the future. detachable antennae and variable gain jack plug output. Ideal for vocals on stage, presentations and DJ’s.